In November of 2012, Northeast Technical Institute unveiled My Maine Job.com, a feature rich job portal for both students and employers. Students have their own management tools to create an online resume, update their profile, search and be searched/recruited by Maine organizations. A separate, secured database on the portal is available to employers for posting featured jobs and student externship openings. Employers are also able to browse student profiles and resumes to arrange interviews. 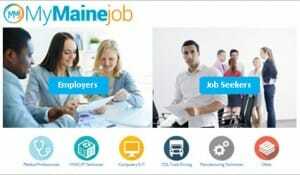 As part of NTI’s commitment to its students in providing unmatched job placement assistance, My Maine Job.com’s development team has upgraded and relaunched the site to include more efficient web technology tools. New features include a simplified navigation system, improved search capabilities, and a robust job alert system. Job alerts allow students and alumni to receive email notifications when new jobs matching their criteria are posted on My Maine Job.com. Over three years since its initial launch, there are now many Maine companies that have come to rely on My Maine Job . com to recruit and hire well trained and certified candidates. Hiring managers and Human Resource professionals have free access to comprehensive tools that quickly identify the right candidates, helping to target the search, saving time and money. If you’re a student at NTI and need assistance with My Maine Job.com, contact your career development advisor or email: help@mymainejob.com.